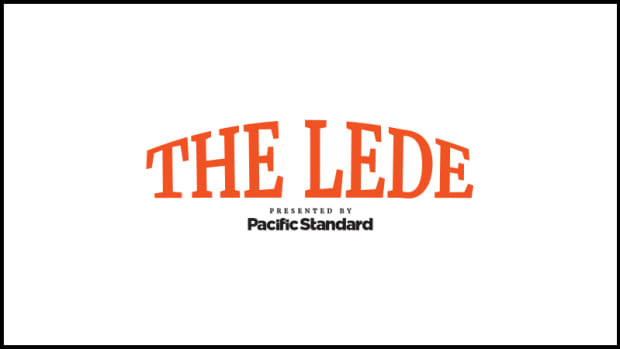 Kevin de León often frames himself as a leader of the resistance movement against President Donald Trump. 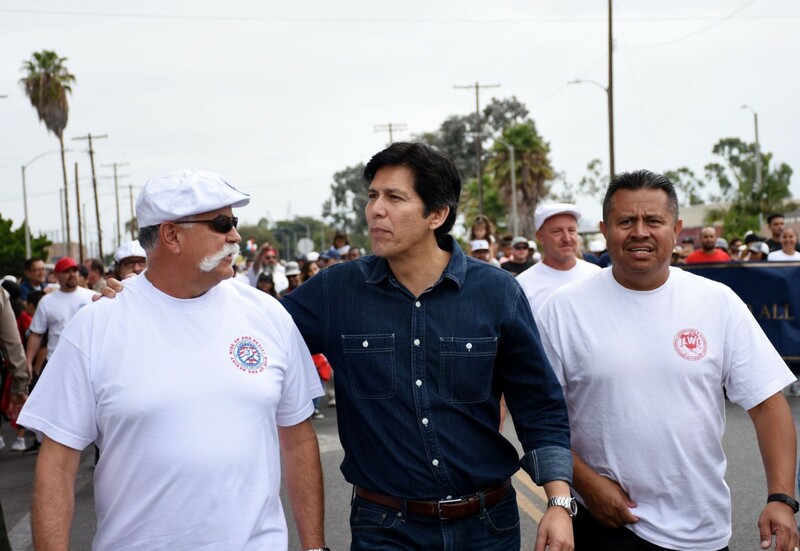 California State Senator Kevin De León has been at the forefront of some of the state&apos;s most ambitious climate legislation. Now he&apos;s taking on an even more ambitious goal: unseating incumbent United States Senator Dianne Feinstein. Editorial fellow Jack Herrera spoke with De León at his campaign headquarters. Read Herrera&apos;s interview here. Home libraries have long been linked to childhood academic achievement. But what&apos;s less known is whether these staples of a well-read youth have a long-lasting impact on our cognitive abilities. Senior staff writer Tom Jacobs looks at new research indicating that a book-filled home can have benefits seen long into adulthood. Read Jacobs&apos; piece here. The Tribal Canoe Journey is one of the largest Native American gatherings in the U.S. It bonds indigenous communities through a testing voyage over the Salish Sea. Julian Brave NoiseCat took part in this year&apos;s event, which became more than just a boat voyage; it was also a chance to connect with family. Read NoiseCat&apos;s story here. Last Saturday, after one of the more contentious Supreme Court confirmation sagas in recent memory, Brett Kavanaugh was officially sworn in to fill the seat left vacant after the retirement of Justice Anthony Kennedy. Staff writer Kate Wheeling writes about how the Senate&apos;s narrow decision to confirm Kavanaugh is a significant blow to the #MeToo movement. Read Wheeling&apos;s story here. The Intergovernmental Panel on Climate Change issued a dire report this week about the state of global climate action. There appears to be little chance that the world will meet the temperature goals set out in the Paris Climate Agreement, and the impacts will be devastating. But, as Sophie Yeo reports, there is widespread skepticism that global leaders will do anything about it. Read Yeo&apos;s story here. 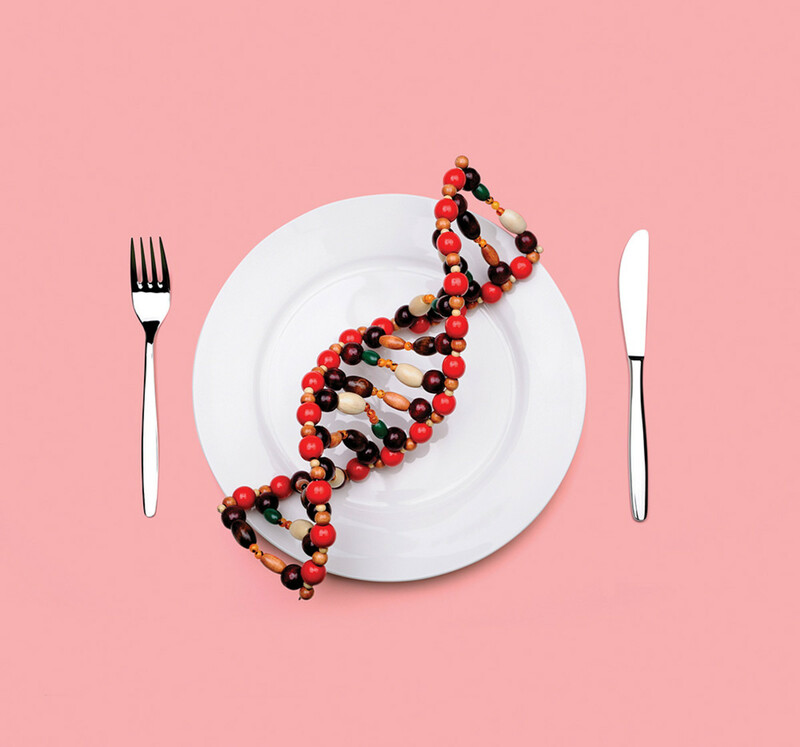 It’s a known fact in the diet industry that most diets fail, but many companies are now banking on the idea that personalized genetics could change that. In April, Lean Cuisine introduced a new diet plan, called Nutria, that involves a self-administered DNA test. The frozen-food company is now touting its ability to use genetic markers to help determine a consumer&apos;s "customized nutrient intake." (Still no word on when they&apos;ll bother to make the meals taste good.) Most reviews of the program focused on its unfortunate name—Nutria is also the name of a giant South American rodent that&apos;s invasive in the United States—but other DNA diets have gained credulous media attention in places like the Washington Post and NPR in recent years. The idea is not completely far-fetched: Research indicates that individuals are more likely to stick with personalized nutrition advice based on factors like current diet or genotype than general advice. Beyond behavior, people do seem to process macronutrients like carbohydrates differently; a 2015 study in Cell, for example, found that post-meal blood-glucose levels varied drastically in a group of 800 people who had eaten the same food. When it comes to weight loss, individuals adhering to the same diet plan experience variable rates of success in many diet studies, leading researchers to wonder if genetics might play a role. A New &apos;Halloween,&apos; as Fresh as the Original: "Suburbia is supposed to be safe," filmmaker John Carpenter said in a 1997 interview. "Your house is supposed to be a sanctuary. Nowadays, maybe because of conditions beyond our control, there is no sanctuary." Carpenter&apos;s landmark horror film Halloween trades on the particularly American fear of danger in the suburban home, which is perhaps why a new sequel, out October 19, feels just as fresh in concept as the original. The new film, directed by David Gordon Green and written by Green and Danny McBride, will acknowledge the myriad sequels and spinoffs produced over the last three decades while building its own universe, jumping forward to the present day and featuring several actors from the first film, including franchise star Jamie Lee Curtis. Green and McBride are longtime collaborators—most recently on HBO&apos;s Vice Principals and the HBO cult favorite series Eastbound and Down—who have used their work to explore the anxieties of modern suburban life. Eastbound and Down, in particular, poses a question not unlike that posed by the first Halloween: Can you ever really make it out of your hometown alive? While Green and McBride are primarily comic writers, it&apos;s easy to imagine they&apos;ll build on the silent, terrifying meditation that is the original film&apos;s final scene: suburban living rooms, bedrooms, and front yards devoid of human life or movement, haunted by the now-famous score and the heavy breathing of the ultimate bogeyman. Staff writer Francie Diep&apos;s investigation into what happens to state funding for sexual harassers in academia was included in the American Institute for Physics&apos; weekly newsletter and was also shared by Retraction Watch. Truthdig quoted contributing writer David M. Perry&apos;s piece about the misguided notion that banning plastic straws will help reduce ocean pollution. Digg included editorial fellow Emily Moon&apos;s round-up of the social science research concerning sexual assault allegations—and what it could tell us about Dr. Christine Blasey Ford&apos;s claims about Supreme Court Justice Brett Kavanaugh—in "What We Learned This Week."